Over the years and with the implementation of the Three Condo Project (servicing Cedarbrook, Stony Hill and Whisconier condominium associations) there are common questions that users have regarding the Brookfield WPCA. Below is a list of frequent questions and a response to each. Feel free to use the Contact Us page to ask your question. Additional questions received by the WPCA that are general in nature will be added here. Where does the Brookfield WPCA get its authority? How do those serving on the Brookfield WPCA get selected? What does the Brookfield WPCA charge for? What are the rates in each case? Is there any relief for the elderly or disabled like there is for Town taxes? – Can the Benefit Asessment go up? – How is the Benefit Assessment billed? – Can the Benefit Assessment ever go down? – Can I pre-pay my Benefit Assessment? – If a Benefit Assessment is pre-paid, what happens if the rate is reduced? – Is there an assessment in Districts were the Bond is paid off? Are the costs for connecting to the Brookfield sewer system customary in for others in Brookfield? For surrounding towns? Why is the Benefit Assessment so high? Why is the Benefit Assessment so low? What is the nature of the Benefit Assessment? Why is the interest rate 2%? Can the assessment be paid in full? What if I don’t pay the assessment? There is an entire section of State Statues that govern how a WPCA operates. These are all on-line. In addition, the WPCA has adopted administrative and technical rules and regulations under which it operates. Basically, the law gives a WPCA the responsibility and authority to operate in a manner that protects health, safety and the environment for the collection and discharge of domestic and industrial wastewater. The CT DEP has jurisdiction over the WPCA in each town. Further, the WPCA is responsible to operate in a fiscally sound manner and is given the authority to collect funds from among sewer utility users for the construction and, separately, the operation of the sewer system. Brookfield has elected to apply sewer charges to sewer users only and not other taxpayers that do not benefit from the sewers. This is customary in CT. In fact, each sewer district in Brookfield is treated as a stand-alone entity. That means people on the Federal Road Districts are not sharing in the Three Condo District costs and Three Condo District users are not sponsoring any other district. Those serving on the WPCA are not elected, but rather are appointed by the Board of Selectman. The chairman, members and alternates are all volunteers. There are five members on the board and three alternates. As of July 2010, two alternate positions are open. There are assessment charges for the installation and improvements of the sewer line for each district. The charge is assessed by taking the net amount of the cost to construct the line, divided by the total Grand List value of all properties on the line. That results in an assessment factor. For each property, the assessment is the Grand List value of the property multiplied by the factor. That will generate the funds necessary to pay for the bond or loan used recover the cost of the project. According to State Statute, the BA charge can be levied as a lien on a property, but only after a Public Hearing. As a lien on the property, the assessment amount stays with the property and is transferred to the new owner when sold. Note: The Grand List value for each property is determined by the Tax Assessor, not the WPCA. See more Q&A on the Benefit Assessment below. This is like a Benefit Assessment, but applies to properties that come on to a Sewer District where the bond is paid off. This is a way for these later properties to participate in the infrastructure cost and share the cost burden with those that paid for the existing sewer pumps, pipes and manholes. These funds are used for major capital expenditures, such as the addition of a grinder at the final pump station in 2012. As of now the Capital Cost Recovery Charge applies only to new properties in the Southwest District, which is the Southern portion of Federal Road, from the Danbury town line to Route 133 and includes Commerce Road. There is a policy new in 2011 to allow for deferral of assessment payments if the resident is elderly or disabled. The policy is similar to the Tax forgiveness plan in Brookfield. For more see the plan details. The State requires a WPCA to assure that each private underground system not under its immediate control in its town be properly maintained. These are referred to as a Community Sewer System (CSS). In the past, the Brookfield WPCA has required each CSS owner to put aside reserves to repair it system AND put on deposit with the WPCA and equivalent amount. Since the state requires each condo association to hold sewer repair funds in their own accounts, agreements with the WPCA are to merely hold each association accountable to lay aside reserves as required by state law. Just like any utility there is a charge for use. This is a processing charge for handling the wastewater flow. The rate as of July 2012 is $380 per year per unit. A household is one unit. Other users are assessed number of units per property depending on the quantity and nature of the discharge. This fee covers the cost of the operation of the Brookfield WPCA and the fees charged by Danbury to process the wastewater. There are several other charges that can be incurred by a property owner for engineering, legal, and inspection fees related to connecting to the sewer system. These fees are set to cover the cost of each application. Consequently, these fees vary with the complexity of the connection. State Statues allow a WPCA to levy an additional assessment, if the bond funding should fall short for any reason. Also, if there is an improvement or significant repair, State Statues allow a WPCA to levy an additional assessment. Happily neither situation has ever happened since the founding of the Brookfield WPCA in 1975. The bill for the Benefit Assessment is sent annually in December and is due by the first working day in January each year. The bill include the annual portion of the principal and bond interest for the unbilled, unpaid balance. Assessment interest is applied to the unbilled, unpaid balance. Say the assessment starts at $10,000 for a 20 year bond at 5% bonded interest. This would mean the principal is paid at a rate of $500/year for 20 years to reach the principal assessment amount of $10,000. In year 1: The bill is $500 plus the 5% interest on $9,500, that is $475. So the total payment is $975. In year 11: The bill is $500 principal plus 5% interest on the remaining $4,500, that is $225. The total payment is $725. In year 20: The bill is $500. There is no unpaid balance, so the total payment is $500. Yes, That happens from time to time. If additional properties join in a Sewer District those new owners also get a BA at the current rate. In that case the possibility exists to over collect. The WPCA is not a taxing authority, consequently is not allowed to over collect to pay a bond obligation. The Brookfield WPCA monitors the projection of the bond obligation carefully to be sure there is enough funding to satisfy the bond but at the same time not collect too much too soon. So, if a bond is on track to be over funded, the assessment rate on each property actively paying an assessment in the program will get a rate reduction. Yes, the benefit assessment can be prepaid. In that case, there will no longer get an annual bill for the principal due and the interest. The notice of the assessment on the property is removed from the land records. Even with the Benefit Assessment obligation satisfied, you will still receive bill for sewer usage. If a Benefit Assessment is paid in full, the obligation of the property owner ceases. There is no longer a bond principal or bond interest payment due. However, if the rate goes down in subsequent years, there is no rebate. In that case a credit is applied to the property that applies for the life of the bond. That credit will apply to any expansion of the property that may occur. If an additional building is added to the property, a Supplemental Benefit Assessment will be levied on a property for the incremental increase in Grand List Value as determined by the Tax Assessor. If a credit exists on the property, that credit is applied to the Supplemental Benefit Assessment. The short answer is YES. This is called a Capital Cost Recovery Charge in a question above. The assessment is 2% of the net increase in Grand List Value on property improvements. 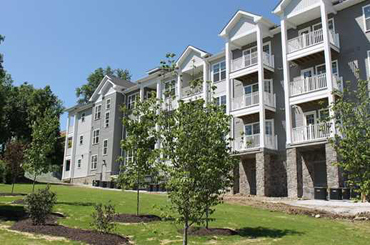 The Three Condo District extends from the each of the three condominium association properties to the new Sand Cut pump station then to the connection to the existing system made in the vicinity of the Town Garage near Gray’s Bridge. From that point existing lines carry wastewater to the final station at Federal Rd and Candlewood Lake Road at the corner of the Kohls property. Benefit Assessments to fund the Three Condo District bonds cover only the new portion of the line. There is no assessment to those in the Three Condo District for other parts of the Brookfield system that previously existed. The costs for the Three Condo District owners are actually lower than other areas in Brookfield and comparable to surrounding towns. The Authority has tremendous discretion in determining how to establish Benefit Assessments. The State Statutes expressly permit the Authority to consider a property’s assessed value for tax purposes in determining benefit assessments. The Authority has found that basing the benefit assessment on assessed value takes into account all factors that differentiate one property from another. The Authority has utilized this methodology since the 1975 when the first sewer line was constructed. The factor of 7.14% applied to the Grand List for the Three Condo District properties is about average. It is above the 5.5% factor for the Center School District, but below the 8.3% factor applied to properties in the Federal Road North District. The bad news is that the Three Condo District line goes a long way and includes three pump stations. The cost that must be covered is $5.571 million for the project that was completed in 2009 and came in on budget. The good news is that there is a CT State grant of $1.9 million that will be applied in its entirety to the Three Condo District project to offset the Benefit Assessment costs. Further, the District includes the industrial properties along Vale Road and the Whisconier Middle School. Combined they add 33% of the total Grand List value on the new line. This means the condo homeowners share only 2/3 of the net cost after the grant. Thus, the Condo owners are responsible for only about 55% of the cost after the grant and values of the school and industrial properties are applied. The Benefit Assessment is actually a lien against each property on the land records. It can be paid off in 20 years, which is coincident with the life of the bond. In this case, the objective is to collect just the right amount to pay the loans or bonds, no more, no less. The Benefit Assessment is deemed by state law to reflect the increase in property value due to the addition of sewer service. It can be legitimately applied whether or not a property owner connects to the sewer system. In the case of the three condominium associations, the state DEP determined that the on-site septic systems were resulting in an unacceptable pollution problem and required the Town to construct the sewer extension to abate this pollution problem. In the case of industrial properties, it is their choice to connect. It is not their choice to avoid the Benefit Assessment as each property in the District is deemed to have been improved by the assessed amount. Each property owner has the option of paying 1/20th of the Benefit Assessment amount for the next 20-years, provided they remain current with their payments. There is an interest charge of 2% on the unpaid balance. This means the amount owed will be reduced every year as the unpaid balance declines. This is the best rate for those on the sewer system in town. Thus far the Town secured a temporary loan for the Three Condo District project. That expired in September 2010 and was paid off because funds began to be collected in 2009, but the first loan payments did not start until 2011. Most of the project funding will be in the form of a 20-year state loan at 2% interest. This loan is outstanding until 2030. The interest charged on the unpaid balance can be no higher then the 2%, the terms of the loan. The Benefit Assessment for the Three Condo district was reset in 2013 to be an even amount per year and configured to end in 2030 to coincide with the terms of the outstanding state loan. Yes. If paid in full, the Benefit Assessment account for that property is retired and the 3% annual interest will not be charged. That is a low interest rate. It should be in the favor of the property owner to pay according to the 20-year schedule. That rate will not increase should prevailing interest rates increase. In the case of a property sale, it is customary and ordinary to pass the remainder of the Benefit Assessment on to the next owner. However, if the BA is paid in full, that property owner is not eligible receive a reduction in the BA should more properties be improved or join in on the Three Condo District line later. That could be a problem. First, the property owner is liable for interest on the delinquent payment(s) at the rate of 18% per year. Second, if a property is not current and the account is referred for collection, it is within the discretion of the WPCA to demand the entire amount of the Benefit Assessment. That means the election to pay over the 20-year period is forfeited. The Authority is authorized to exercise the same rights and procedures to collect delinquent assessments as the tax collector uses to collect delinquent taxes.